In a Festival held August 3rd-5th, 2018, a united community of political and civic organizations in Atlanta Georgia assembled various topics of political, civic, a special report on human rights, religious, arts, music, health and women issues. The discussion on the political realities of Eritrea was presented by a panel of representatives from participating political organizations. The introductions and Question & Answer session was moderated by a fellow journalist Mr. Tedros Mengistu. The panelists discussed the political, social and economic realities of the country, and the challenges facing the Eritrean people and the political organizations in confronting the enemy-an Eritrean government who recently declared peace with neighboring Ethiopia while still at war with its own people. 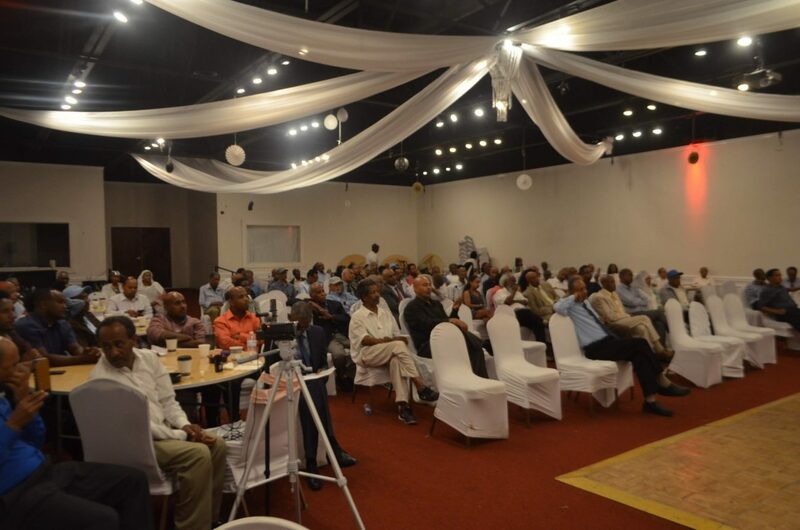 The participants of the seminar-Eritreans from all over the United States and Canada-while respectfully understanding the struggle of the political organizations against the regime in Eritrea, were also very critical about the performances, achievements, structures, and platforms we employ to defeat pfdj. They expressed their frustration with the growing number of organizations and frequently fragmenting into ineffectual mini organizations unable to defend the people and save lives of refugees escaping to neighboring countries and dying in the desert, the mountains, and the seas. The panel of political parties accepted their shortcomings, and also appealed to the people to participate in the political discourses, and processes to closely monitor and identify problems that occur between various actors causing divisions within political organizations. We admitted that it’s lack of conflict management experience that causes break ups between leaders but, failing to protect our organizations from enemy infiltration is also our biggest weakness-the panelists explained. At the end the people demanded that political organizations work collaboratively by forming a single umbrella organization that will speak for the Eritrean people in one voice. They demanded that the message is passed to the leaders of all political organizations. Since August 3, 2018, we met consecutively 6 times and agreed to form a regional Coalition of Eritrean political organizations in North America (CEPONA) and later shared the information globally to all regional offices of the opposition parties. We sent a support message to Geneva, and today September 1, 2018 as promised to the people of Atlanta Festival, we delivered a three page letter to all political organizations in the diaspora addressed to the Chairpersons by name. Once we receive the feedbacks, we will let the public know what the collective or individual positions are on the propositions. There are palpable indications inside Eritrea that people are fed up and will rise to stand against the regime anytime. From now on we hope the people will deli gently do their part to follow up, and the leaders to deliver by holding an urgent meeting of all political organizations for the purpose devising a new approach of engagement and structure effective in the struggle against the authoritarian system in Eritrea. Victory to the Eritrean People! A significant step forward in the fight against the fascist regime in Asmara. You can’t keep people in the dark forever,the time has come for those who made their bed to lay down on it.The Eritrean people are ready to shake off the yoke of tyranny once and for all,we just have to give them a hand to do it by making ourselves available in unison. In few words, you said it all. the rule of law .